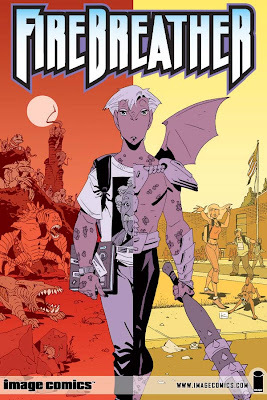 Firebreather, the Image comic written by Phil Hester and drawn by long-time friend to 7000 BC Andy Kuhn, has become an animated film. The story of adolescent half-human, half-dragon Duncan is the first-ever CGI original movie by the Cartoon Network. The premiere is slated for the wednesday before Thanksgiving, November 24th, at 5 pm. Click here for more information. Andy and Phil will also be returning with new Firebreather stories starting the same day. Update: Firebreather will air at 5 pm on Nov. 24th, and repeat at 2:30 pm om Nov. 27th.